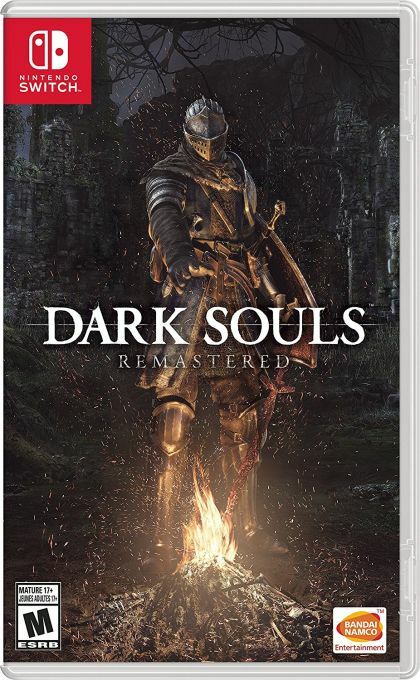 Dark Souls: Remastered strikes Nintendo Switch on May 25th. Re-experience the critically acclaimed, genre-defining game that started it all. Beautifully remastered, return to Lordran in stunning detail. Dark Souls: Remastered includes the main game plus the Artorias of the Abyss DLC. Delve into an epic dark fantasy universe stricken by decline and the Curse. Explore its intricate world design  full of hidden passages, dungeons and secrets  and uncover its deeply rooted lore. Whatever your motivations are to play online*  collaboration or confrontation, support or betrayal  you'll find your true home among the nine covenants. Which allegiance will you choose?